Actually, Mandalay has more massage spas than Yangon. 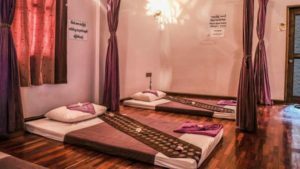 There are many massage spas you can choose in Mandalay within your area, but the following places offer good massage service with reasonable price. Here is our list of the massage in Mandalay. It is located at Thazin Street between 65th and 66th Street. It offers both traditional and oil massage at a reasonable price. Price for a foot massage is 7,000 MMK for one hour and body massage is 9000 MMK for 1 hour. Oil massage price starts at 18,000 MMK for one and half hour session. Back to the time of Myanmar last king period, there was a place in Mandalay named as “A Hnate Taw Ward” where masseur for the king resided there. “A hnate taw” means masseur in the Burmese language. 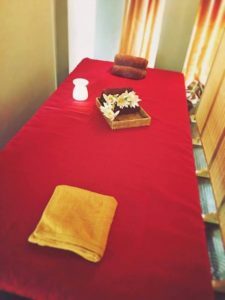 If you would like to have Burmese traditional massage service, you should choose this place. All masseurs at that place are well trained for Burmese traditional massage. You can only have a traditional massage at that place. All the masseur are men. Price for massage service at the shop is 6,000 MMK for one hour. You can also call them to your place and it will cost 8,000 MMK for one hour. Suitable for family and group. Highly rated massage spa in Mandalay by customers. It offers a professional massage service to it’s customers by well-trained masseurs. Services are available for both men and women. The exact location of Sakura Beauty Spa is on 62th street, between 24th and 25th street. They also have oil massage at the price of 20,000 MMK per session. Traditional massage only cost for 7,000 MMK per session. Tripadvisor recommended massage spa in Mandalay. 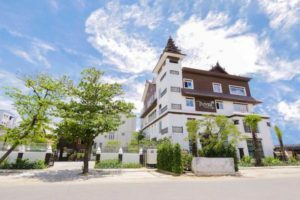 It is located at the easily accessible place in Mandalay, within a big compound with well-decorated luxury spa in Mandalay. One of the places frequently check-in by Celebrities of Myanmar. Traditional Innwa massage price starts at 9,000 MMK for one hour. Auroma Oil massage price starts at 25,000 for one and half hour. Thai style traditional massage in Mandalay. If you are on budget and would like to have cheap and good quality massage, you should choose Padonma Spa. 6,500 MMK for Thai Traditional massage and 15,000 MMK for hot oil massage for one hour. There are many other massages in Mandalay which are not included in our list as we didn’t get detailed information about them. We will keep updating this post to reflect update changes.